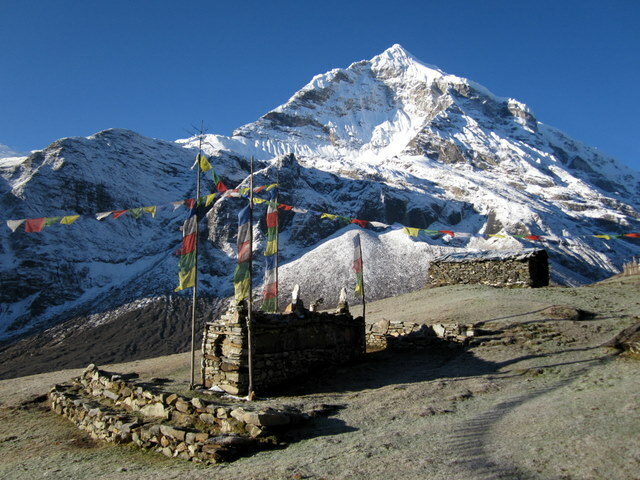 highest inhabited Sherpa home on the trek. lots of goats and a few dzo to keep busy. not much gardening going on, these people relied on porters to bring goods from the lower valley.